9 YRS Fujian Nanan Julun Machinery Co., Ltd.
Technical Data Appellation unit SQC/PC-2200/2500/2800 Max. blade diameter mm &Phi;2200/&Phi;2500/&Phi;2800 Max. worktable length mm 3800/3500/3200 Max. 5. 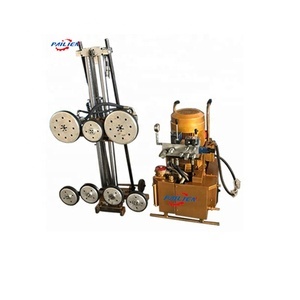 Quality Control: We are a company which is specially for producing machines for exporting. There will be strict inspection and testing for every machines before shipping out. 8. Installation: We have one technical team will be responsible for installation and training for you. 2 YRS Guilin Kanghua Mechanical And Electrical Technology Co., Ltd.
2. 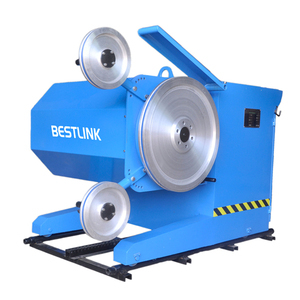 The speed of Wire saw can adjust automatically in the range of 0-40 m/s, which is suitable for every kind of stone cutting. 4. The adjustment of head adopts an automatic control hydraulic transmission system, which enhances the stability of the equipment and using life. 5. With strong and sensitive negative feedbacks, the current monitor can adjust the output power so that improves the cutting efficiency. 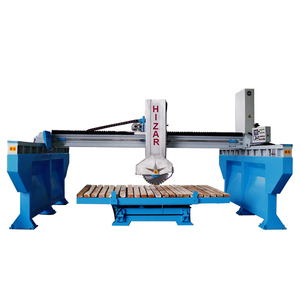 Cutting device can be rotated 360-degree to complete horizontal, vertical and tilting operation based on cut requirement. Adopting hydraulic driving locating device to realize the fine-tuning of separation cutting positioning. Two workers can operate more than two machines, working efficiency is significantly improved than the traditional mining technology. 4.Easy Operation And Quick Assembly It;s very easy for ne operators to learn how to operate the machine . warranty and service 1) one year free war ranty under normal use,replace all parts within the warranty time. 2) first class engineers give 24hours service on Internet and Telephone, free instructions and problem solving . 1 YRS Guangdong Team-D Group Co., Ltd. Advantage: 1) Powerful, it can split the stone or concrete easily; 2) High efficiency, it can split the stone in 5-10 seconds. whichever model is suitable for u, pls contact us freely, and w e will offer a very competitive price for you. 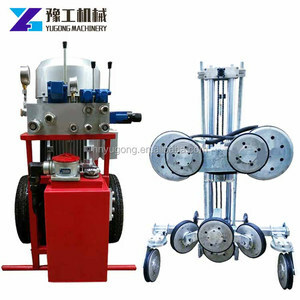 If you have needs and are interested with our machine, pls contact with me freely about the more details and video and I am of service all the time! Diamond tools: Wanlong's mission is to make no stone hard to cut in the world, to help customer save production costs. Machinery: Wanlong Mechanical's mission is to provide customers with advanced technology solutions for efficient tools production. 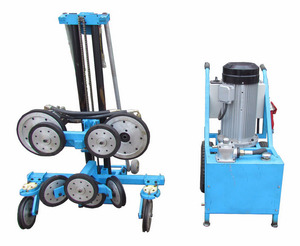 Wanlong machinery will fit the needs of customers with more sophisticated services to fulfill the mission. 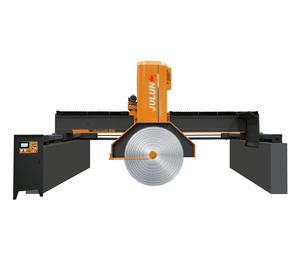 2 YRS Jining Zhuo Shun Machinery Co., Ltd.
10 YRS Fujian Province Hualong Machinery Co., Ltd.
Alibaba.com offers 2,518 rock cutting saws products. About 25% of these are stone machinery, 11% are saw blade, and 6% are tool parts. 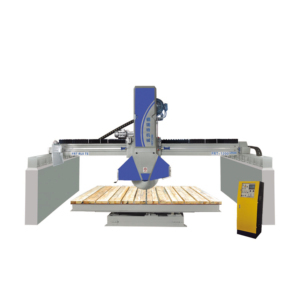 A wide variety of rock cutting saws options are available to you, such as stone cutting machine, bridge saw, and cnc router. You can also choose from granite, marble, and concrete curb. As well as from free samples, paid samples. 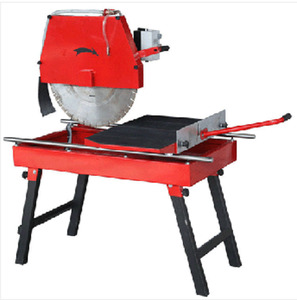 There are 2,518 rock cutting saws suppliers, mainly located in Asia. 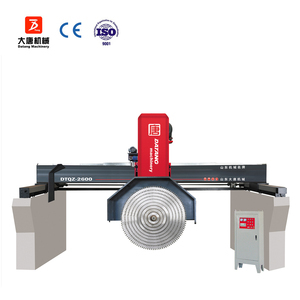 The top supplying country is China (Mainland), which supply 100% of rock cutting saws respectively. 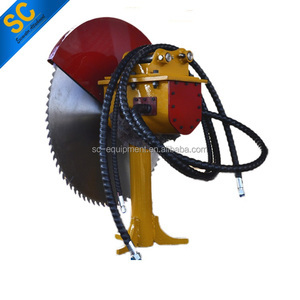 Rock cutting saws products are most popular in Domestic Market, North America, and Mid East. You can ensure product safety by selecting from certified suppliers, including 494 with ISO9001, 324 with Other, and 13 with OHSAS18001 certification.